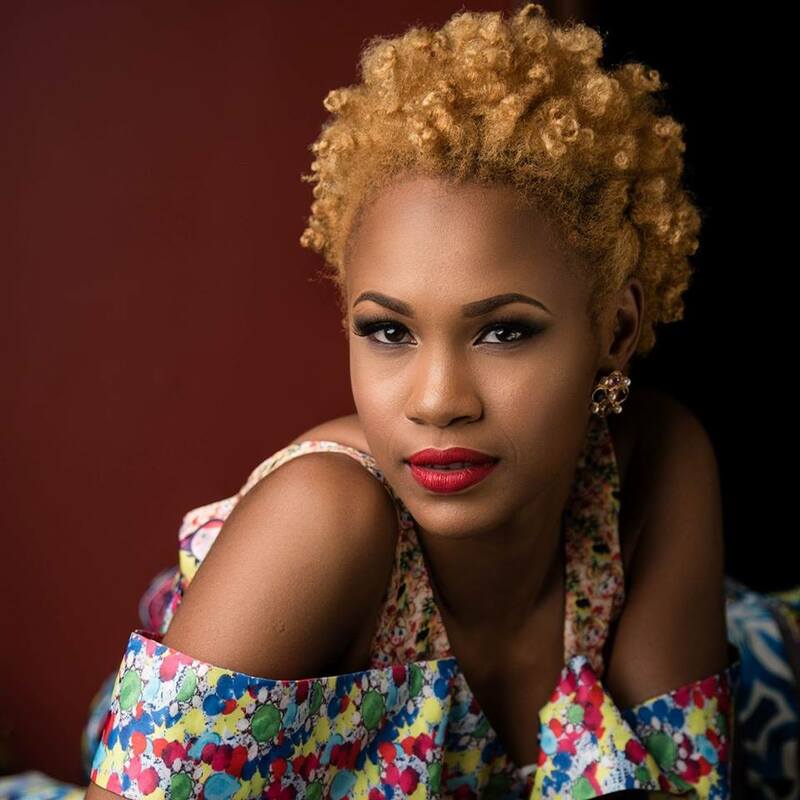 The National Gallery of Jamaica’s Last Sundays programme for April 24, 2016, will feature the opening of the Digital exhibition and a musical performance by Chevaughn. Digital, as the title suggests, is an exhibition of digital art, including video, animation, short films, GIFs, digital illustrations, photography, and social and interactive media, and was curated by Veerle Poupeye, O’Neil Lawrence, and Monique Barnett-Davidson. 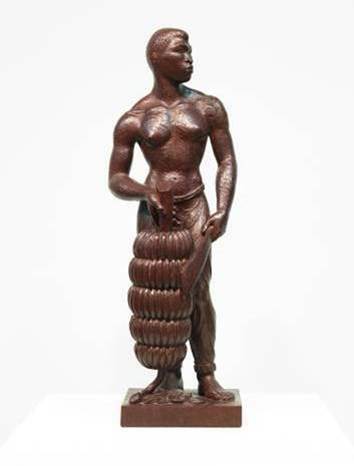 The exhibition is based on a call for submissions, which was, for the first time in the National Gallery’s history, extended to the wider Caribbean and its diaspora. 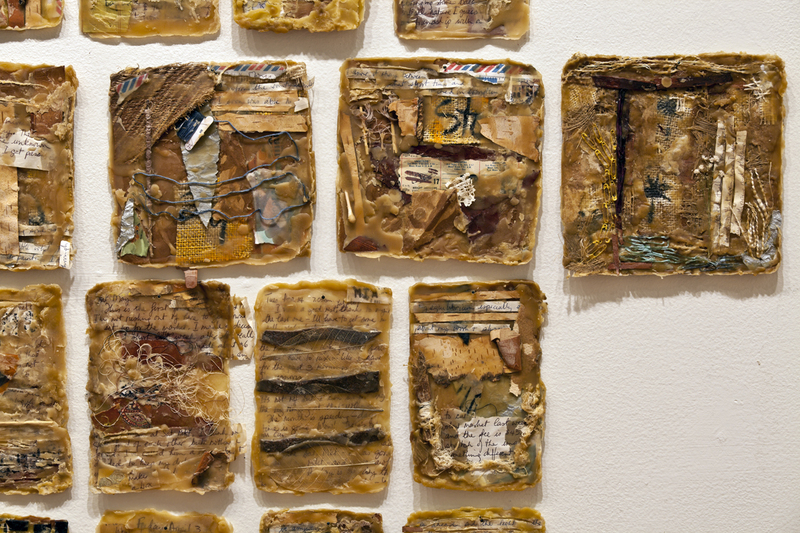 Of the 73 submissions received, 39 were selected for the exhibition, which features artists who are based in or from Jamaica, Barbados, Puerto Rico, Trinidad and Tobago, Belize, Suriname, Bermuda, Martinique, Guadeloupe, St Martin, the USA, Canada, France, England, Germany and China. The selected artists are: Ewan Atkinson; Sonia Barrett; Jacqueline Bishop; Kimani Beckford; Beverley Bennett; Ruben Cabenda; Larry Chang; Robin Clare; James Cooper; Di-Andre Caprice Davis; Pablo Delano; Cecile Emeke; Luk Gama; Gregory Stennatt; David Gumbs; Versia Harris; Horacio Hospedales; Katherine Kennedy; Prudence Lovell; Kelley-Ann Lindo; Jodie Lyn-Kee-Chow; Olivia McGilchrist; Shane McHugh; Patricia Mohammed; Richard Nattoo; the New Media and Process Class, Edna Manley College; Sharon Norwood; Jik-Reuben Pringle; Gabriel Ramos; Richard Mark Rawlins; Sheena Rose; Danielle Russell; Oneika Russell; Nile Saulter; Henri Tauliaut; Phillip Thomas; Dione Walker; Rodell Warner, Arnaldo James and Darron Clarke; and Ronald Williams. Most of the works in Digital engage actively with the political implications of images and image-making and the exhibition invites reflection about the rapidly changing dynamics of technology, culture, society and visuality since the “digital revolution,” globally and in the Caribbean context. Chevaughn is a singer/songwriter, who is acclaimed for a velvet smooth tenor infused with rich gospel inflected tones. His unique voice can be heard on Holiday, the chart-topping breakout song of 2009 with Ding Dong, and he was the lead singer of the eclectic roots group C Sharp. January 2014 saw the singer separate from the group to focus on his journey as a solo artist and he launched his debut EP Hopeless Romantic (2014). He has created quite a stir amongst fans across the globe, especially in The Bahamas where fans have taken a particular liking to his song Know Your Friends. His most current songs include So Many Rivers, You Lose and So Let It Be and he is in the process of recording an album with the inimitable Digital B Records and Frankie Music, whilst personally producing a very special project #FromScratch. 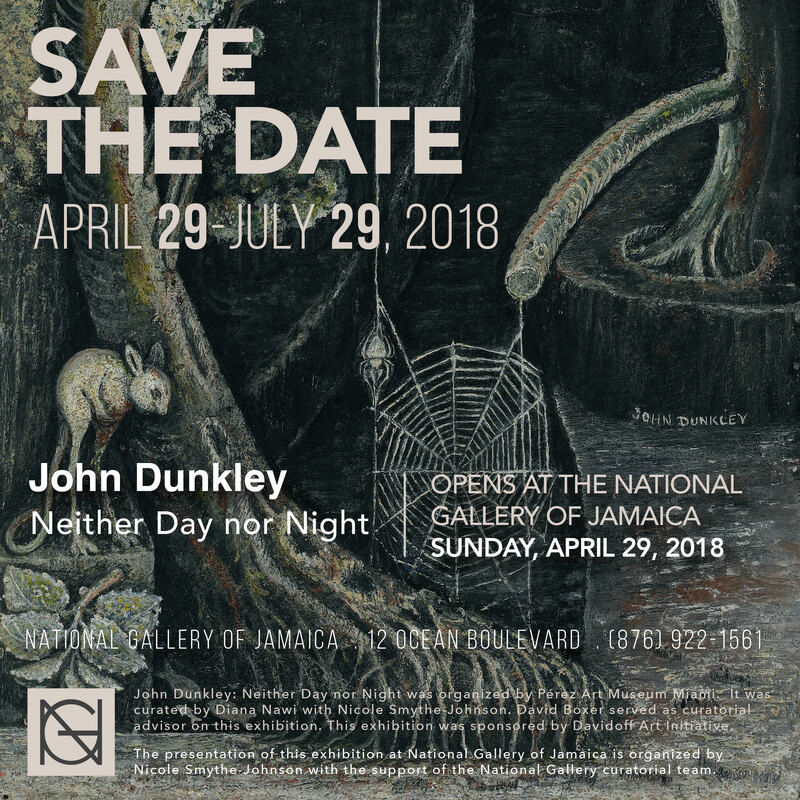 The National Gallery of Jamaica’s doors will be open from 11 am to 4 pm on Sunday, April 24 and the exhibition opening and the performance by Chevaughn will start at 1:30 pm. As is customary, admission will be free but contributions to the National Gallery’s donations box are always appreciated. The National Gallery gift and coffee shops will be open for business and proceeds from these ventures help to fund programmes such as Last Sundays and exhibitions such as Digital. Submissions for the DIGITAL exhibition have now closed. We are very excited about the number and quality of submissions we have received – it will be a very interesting exhibition. Shortlisted candidates will be notified by March 13 the latest. The National Gallery of Jamaica is inviting submissions to its Digital exhibition, which will open on Sunday, April 24, 2016 and run until July 2, 2016. Digital media has arguably been the fastest growing field in contemporary visual art and an area of major innovation and experimentation, with many applications in related areas such as music videos and fashion photography. In photography, which has become a dominant medium in contemporary art, digital photography and printing are now the norm. New possibilities emerge constantly, for instance in the field of 3D printing. The Caribbean has been no exception and many younger artists are engaging and exploring new media such as animation, GIFs, video installations, digital illustration, computer graphics, web based art, and so forth. This exhibition celebrates digital art forms in all digital media, from digital photography to multimedia installations, produced by artists based in the Caribbean and its diaspora and also encourages the development and recognition of such media in the Caribbean context. From the submissions received, up to thirty will be selected by the National Gallery’s curatorial team to be shown in the Digital exhibition. An illustrated exhibition catalogue will be published. Eligibility: Open to artists resident in the Caribbean and Caribbean nationals residing elsewhere. There are no restrictions of age. Collaborative submissions involving more than one artist are permitted. Now that the Jamaica Biennial 2014 is behind us, we are pleased to let you know what we have in store for the rest of the year, in terms of exhibitions. The first major exhibition will be Explorations III: Seven Women Artists, which is scheduled to open on May 31 and features work by Kereina Chang-Fatt, Berette Macaulay, Amy Laskin, Prudence Lovell, Judith Salmon, Jasmine Thomas-Girvan and Miriam Hinds-Smith, seven mid-career artists who are highly accomplished but who have not yet received significant national attention. 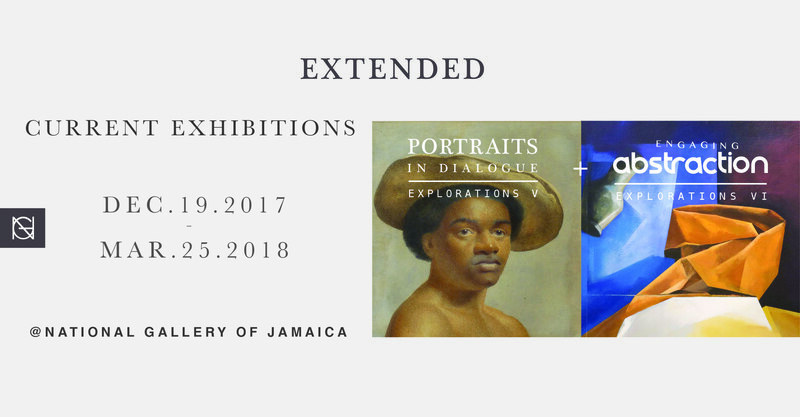 This exhibition is presented as the third edition of our Explorations series, which started in 2013 with Natural Histories and explores the major issues and themes in our collection and in Jamaican art. Explorations III: Seven Women Artists asks whether the notion of women’s art is relevant in Jamaica today and how the work of female artists has been and is positioned vis-à-vis the conventional artistic hierarchies in Jamaica. 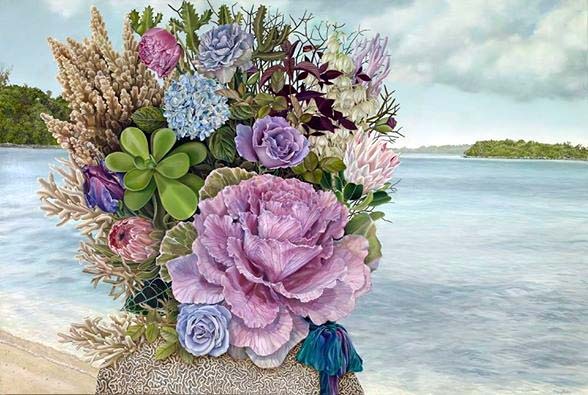 This will be followed by Young Talent 2015, which will feature the work of six to eight artists under forty years old. The Young Talent exhibitions, which were inaugurated in 1985, are designed to unearth and encourage new and emerging artists and to provide a platform for the development of contemporary art in Jamaica. The call for submissions can be found here – please note that deadline for submissions has Young Talent 2015 has been extended to Friday, June 26 and that the exhibition is now scheduled to open on August 30.